HCM City (VNA) – Vietnam is expected to attract a number of investors of transport infrastructure projects under the public-private partnership (PPP) model this year. The My Thuan-CanTho expressway project in the Cuu Long (Mekong) Delta is one of the top of prospective PPP transport infrastructure projects in the number of interested and registered investors. 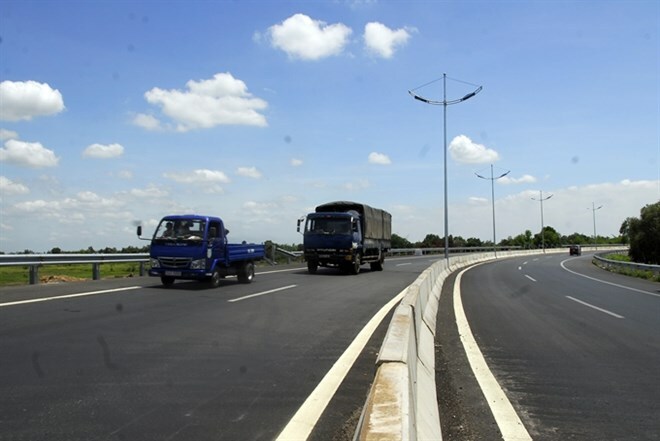 Nguyen Danh Huy, chief of the Ministry of Transport’s PPP Committee, said the 23.6 kilometre-long, four-lane highway that connects Tay Do (former Western city), at a cost of 6.62 trillion VND (296.1 million USD), has secured interest from nine local and international investor groups. The groups are now waiting for approval from the Government. These include several large investors and investor consortiums like Sovico-Imico-Pacific-Cienco 5; Thai Son (under the Ministry of Defense)-Yen Khanh-Cienco 1; Fecon-Coteccons; Infrastructure Development and Energy Investment JSC-IL&FS (India); Long Thanh Golf JSC, Cuu Long Corporation, and Bach Dang Corporation. In addition to having the rights for toll collection for the stipulated period of 20 years and 11 months along the expressway, the developer will also gain toll collection rights at the HCM City-Trung Luong highway section for four years and 11 months starting in 2030. Vu Xuan Hoa, Director of the Thang Long Project Management Unit that represents the MoT on project oversight, said with such support, My Thuan-CanTho expressway was the first highway project to be implemented under the PPP model with indirect state capital participation. The MoT is set to complete the investor selection process and the signing of the investment agreement in the third quarter of this year. If many investors pass the pre-qualifying round, there will be a bidding process, which will be completed before the end of this year’s fourth quarter. Another PPP highway project attracting investors’ attention is the building of Ring Road No. 3’s TanVan-Nhon Trach elevated highway section in the southern province of Dong Nai (first phase). The 17.84km-long, four-lane route will consist of two phases under the Build-Operate-Transfer (BOT) model. The project has received investment proposals from a number of investors, including the CIPM-Phu Tho Infrastructure Construction Limited consortium, Licogi Corporation, the KEC-KUMHO consortium (the Republic of Korea), and Samsung Everland. Nguyen Danh Huy, chief of the Ministry of Transport’s PPP Committee, said the project’s consultant unit expected to get overall approval from the authorised ministry last month, paving the way to start the prequalifying stage and hold the bidding process to select investors between now and the end of 2016. The highway projects are on the list of 23 large-scale transport infrastructure projects to source investment capital outside of the state budget under the PPP and build-transfer (BT) models. Of the total price tag of around 39.9 trillion VND (1.78 billion USD), 39.4 trillion VND (1.76 billion USD) will be investors’equity. All these 23 projects are expected to break ground or will complete investor selection within this year. Although these 23 projects have received investor proposals, the projects are still open to any investor with feasible investment plans, Huy noted. Nguyen HongTruong, Deputy Minister of Transport, said the ministry would only consider investors with high capacity and reject weak investors.